Budget 2019: Is the Income Tax Slab Enough to Make Us Forget about Unemployment Rate? ven though Members of Parliament got dolled up for the budget presentation, there may have been a general feeling of gloom wrapped around the BJP today. 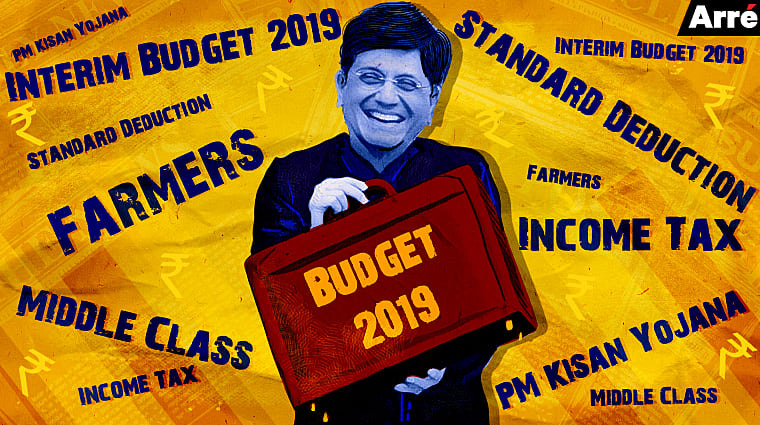 Interim Finance Minister Piyush Goyal presented the interim budget like an awards show host who had been found guilty of misconduct on the eve of the event but was determined to shrug it off and have a good time. After all, not 15 hours ago, reports started leaking out regarding India’s 45-year high unemployment rate. This information appears to have been kept under wraps by our government. With the promise of acche din being hardwired into us over five years, this kind of news does not gel well with the public. In addition to this, a shiny new set of freshly polished GDP numbers have had economists wondering whether demonetisation really happened at all. The government has made a habit of re-calibrating the GDP to make itself look even better. This time around, economists are wondering how large a pinch of salt we should be taking when further statistics are announced. 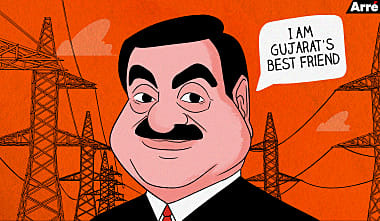 However, once Mr Goyal took control of the mic, it became clear that the BJP had come to play hard. Around him, the crowd cheered and thumped on their desks. A beatifically enthused Paresh Rawal was shown repeatedly, his exuberance only countered by Rahul Gandhi’s super dour impersonation of a grumpy child at the back of the classroom. Goyal presented a budget that, by his own admission, had 10 dimensions. This revelation was so startling that makers of Interstellar 2 will now be studying our budget to understand where all these other dimensions are being fitted in. The truth of the matter is that this was very much the populist budget we all expected. After hurriedly announcing that the government has missed the deficit target by 0.1 per cent, the FM charged ahead to deliver the largest award of the night as quickly as possible, lest the mood get sullener. Goyal presented a budget that, by his own admission, had 10 dimensions. But then he got down to brass tax. Throwing up a volley by saying the MGNREGA budget was being increased from ₹48000 to ₹60000 crore, he slammed down a smash by announcing the Kisan Samman Nidhi. The BJP section of the parliament went berserk as the FM declared that farmers with less than two hectares of land would receive direct deposits of ₹6000 into their bank accounts. The farmers shouldn’t rejoice yet because we all know what happened to the ₹15 lakh promised to us in 2014. The total cost of this mega-giveaway package: ₹75000 crore. The look on Rahul Gandhi’s face: priceless. After all it was he who sparked this freebie competition by announcing the minimum income guarantee a few days ago. But by taking the bait and adding a little structure around it, the BJP seems to have gained the upper hand. We can’t say for sure whether this programme is warranted financially. Estimates of the cost would put it somewhere between 0.25 per cent and 0.4 per cent of GDP – more than what’s being spent on the MGNREGA. However, from an economic standpoint, giving farmers cash would have short-term benefits in boosting GDP. As most of this money is likely to be spent almost immediately, it would contribute to a huge boost in consumer spending at the poorest strata of society (an expectation supported by the spike in FMCG stock prices today). While this does nothing to alleviate the structural problems facing the farmers, it checks a lot of boxes for the BJP, including giving a GDP boost and appeasing a large section of the voting population. To drive the point home further, the scheme is being applied retroactively from December 2018, so its impact would be immediate and certainly carry weightage when farmers go to cast their vote in May. Another populist move was to announce a pension plan for retirees from the unorganised sector. The plan proposes an amount of ₹3000 to be given as pension after the age of 60. The defence budget was then announced. For the first time in history, the budget crossed 300K crore. So, as long as money is not misappropriated into shady deals for fighter jets and tanks, we should all sleep more soundly at night. For most of the next half-hour, Goyal had little else to add and could only thump his chest about all the other achievements of the government. Like a kid who spent all his money on the first few rides in the amusement park, he could do nothing but meander. The look on Rahul Gandhi’s face: priceless. There were some concessions made to MSMEs – such as a two per cent interest subvention and that 25 per cent of government projects would need to source from MSMEs going forward. There was also a lot of excitement over the idea that the systems around direct taxation had improved and become more digitised. It was assured that soon, IT returns would be processed within 24 hours and tax refunds done immediately. I could not help but cheer in thinking that my 2011-12 refund would finally be arriving. The FinMin also went on a long tirade about renewable energy and how it was our future. While this is clearly no untruth, he was not able to offer anything by way of sops or investment commitments into renewable energy. He did spend a lot of time talking up the many milestones the government had reached in boosting renewable energy. However, there were no plans announced on how this momentum would be kept going. Around this time, one started to suspect that most of the marrow had been sucked out of the budget bone. But you must hand it to Mr Goyal; he really knows how to play the crowd. Just as we thought it was time to tune out, he dropped the second bombshell. Although it was predicted that the government would raise the basic slab of income tax exemption from ₹250,000 to ₹500,000, hearing the FM actually say it felt good. It also re-invigorated the party members who gave a resounding chorus of desk thumping before launching into chants of “Modi! Modi!” In addition to the slab increase the standard deduction on income was also increased from ₹40,000 to ₹50,000. With his nod to the middle class completed, the FM then closed the session. Despite what the FM claimed, this was not quite a ten-dimensional budget. India is a huge nation with problems ranging from infrastructure, healthcare, education and poverty. In a given budget, there are only so many areas that the government can tackle without spreading things too thin. Considering this is an election year, we expected nothing less than a budget to appease the masses. For what it’s worth, at least we weren’t taken by surprise.